Locally grown, 100% all-natural, non-GMO verified, pasture raised beef. The Swickard Family has been ranching in California since 1852, first settling in the Santa Clara Valley. 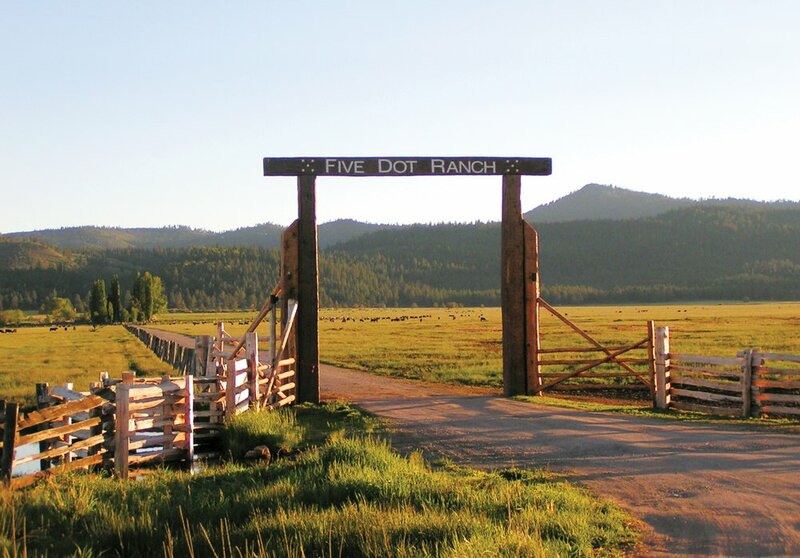 The family made the move north to Susanville in 1959 where they established Five Dot Land & Cattle Co.
Five Dot Ranch is located in Susanville, California and serves as our headquarters for all operations. We own and lease grazing pastures and rangelands throughout 6 different counties in Northern California. Five Dot owns their cattle throughout the entire process ensuring that they are raised in a humane and sustainable manner that meets their all-natural* and non-GMO verified standards.